Dir: Giuseppe Tornatore, 1988, Italy/Italia. A filmmaker recalls his childhood when falling in love with the pictures at the cinema of his home village and forms a deep friendship with the cinema's projectionist. San Pablo Cultural Center. 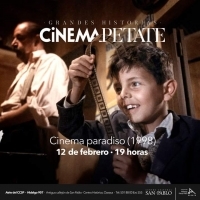 Salvatore, exitoso director de cine, vuelve a su pueblo natal para asistir al funeral de su viejo amigo Alfredo, quien fue el proyeccionista del cine local durante su infancia en Sicilia. 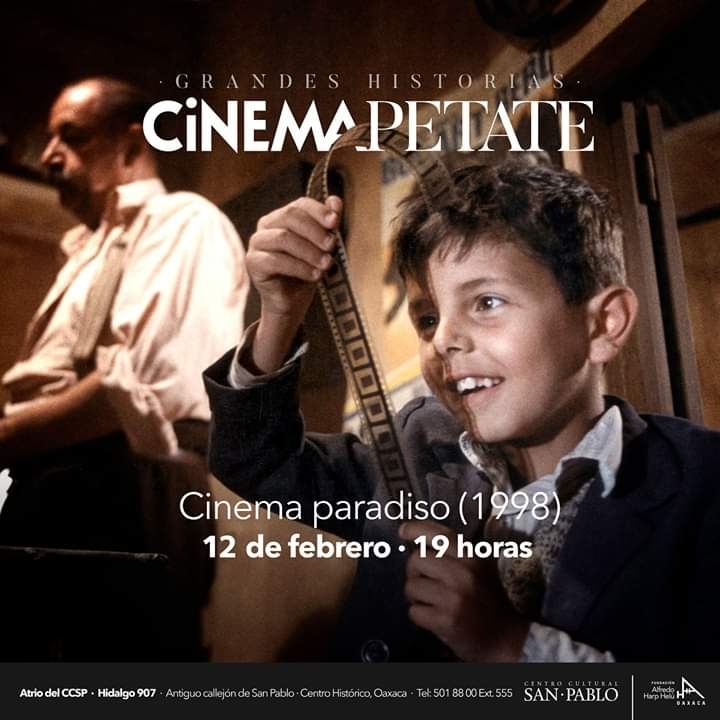 Centro Cultural San Pablo.